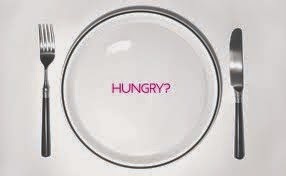 Many people have heard their mom tell them not to skip a meal during the day, or they will end up gaining weight. However, there was no scientific evidence to believe so. Now, researchers from Ohio and Yale universities have discovered that it is true: Skipping meals can actually increase fat in the human body. According to the recent study findings, skipping meals in a day can lead to deposition of fat tissue around the midsection of the body, primarily the belly. The findings have totally discarded the common presumption that missing a meal can help one lose weight. The researchers conducted their study on two groups of mice. The first group was allowed to consume food multiple times in a day, while the other group was served only one meal a day. The researchers observed that the second group of mice ended up nibbling a large portion of food to curb the increased hunger developed because of starvation. The mice on the restricted diet lost some amount of weight at first. However, they gained back a large amount of weight quickly to restore their diet. According to the researchers, the same phenomenon explains what happens in humans too. The researchers also claimed that the mice who were on a restricted diet had developed insulin resistance. The condition is known to cause diabetes, and lead to body weight gain in later stages of life. Even though both the groups of mice were furnished with equal amount of calories, each group has developed its own way of storing the energy. The two divergent methods, according to the researchers, developed because of the nature and availability of the food being served. The second group started to store energy in the form of fat around the belly area, and weighed more than the mice who ate whenever they wished to. 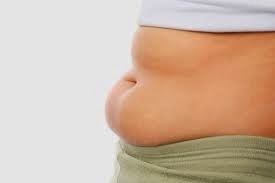 Previous studies have linked the presence of excess abdominal fat with an increased risk of developing Type 2 diabetes. In addition, researchers believe that it also increases the risk of developing heart-related diseases and cancer.